Love and Friendship wax seal amulet bracelet. 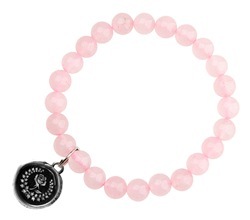 Comes with a rose wax seal amulet on a rose quartz bracelet. A Rose is the symbol for Love, Ivy leaves are the symbol of a strong and lasting friendship.